Сейчас идет снег в Shiga Kogen-Yokoteyama ?Thank you! 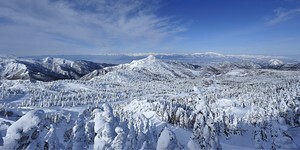 Shiga Kogen-Yokoteyama, or Mt Yokote (shortened name for the mountain) is one of 19 ski fields in the Shiga Kogen area. 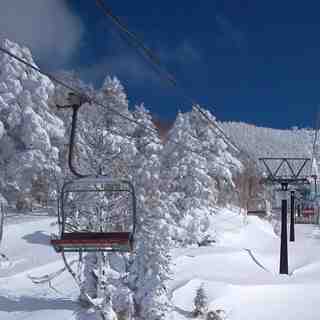 It is located in the Nagano prefecture of Japan and is a medium sized ski resort with 14 ski lifts that offers skiers an impressive 555 metres (1821 feet) of vertical descent. 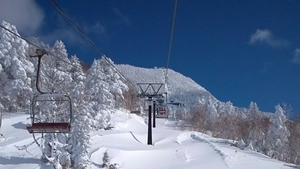 Yokoteyama has 72 acres of terrain over 12 pistes. 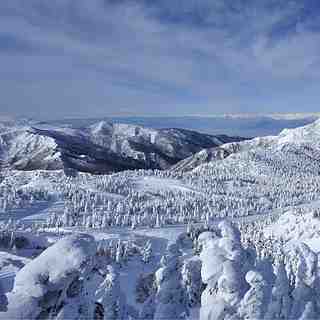 Yokoteyama is best suited to intermediate skiers and snowboarders but there is some terrain for beginners and advanced skiers. We are not aware of any cross country ski trails at Yokoteyama. The nearest international airport is Narita (Tokyo) and the nearest train station, to Yokoteyama, is Nagano where a bus stops to access the ski fields.